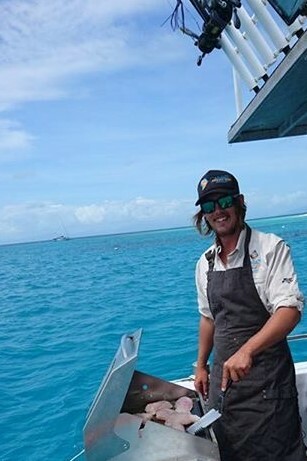 Reef Runner is our newest member to Cairns Reef Fishing and she sure is impressive! 11m PowerCat, 2 x 250 horse power outboard engines and a cruising speed of 22 knots, be sure she'll get you out an amongst the action in no time! Reef Runner has the newest in fish finding, navigational and safety equipment. Comfortable and modern cabin including; refrigeration, hot water, gas stove, accessible dive platform full shaded back decking area. 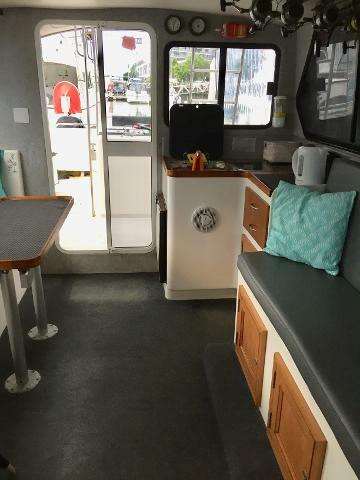 This charter is designed for the not so serious fishing group who would like to mix their day up a bit. We have you meet us at the marina at 6.45am for a 7am departure. We steam out to the huge Arlington Reef complex where we chase some of our quality reef species such as Coral Trout ,Red Emperor etc. For lunch, we will head across to the calm waters around Michaelmas sand cay for you to hop in and have a snorkel around the coral gardens that are teeming with fish.We will select one or more quality fish which the crew will prepare for lunch by cooking on the BBQ and serving together with fresh salads and bread rolls..delicious!. After lunch you will have the option of returning to the fishing grounds or heading across to Green Island to go ashore and explore this beautiful tropical Island. Returning back to the marina between 3.30/4.00 pm. 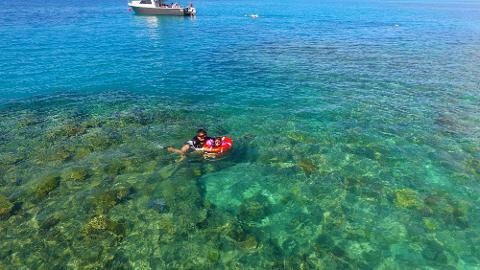 What a wonderful way to spend a day on the Great Barrier Reef. "Reef Runner" carries 1-8 passengers - "